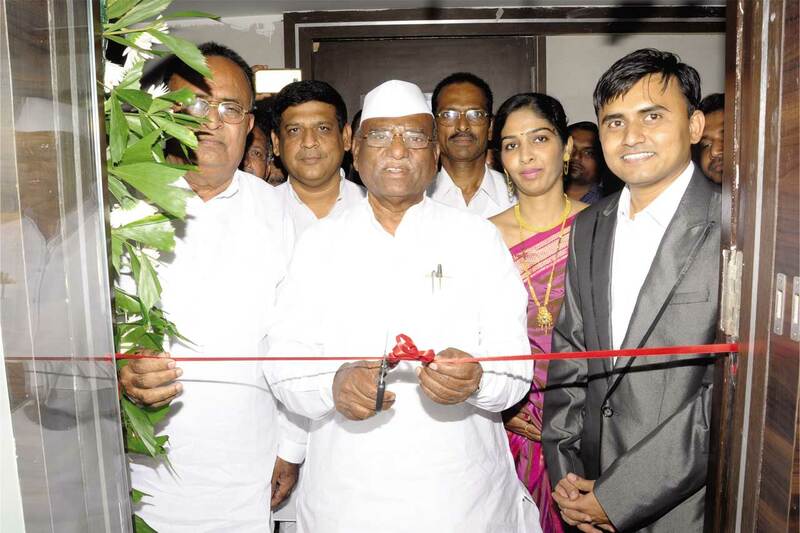 Dental Health Made Easy With Dr. Jadhav's Dental Clinic In Aurangabad! People say when you smile it speaks a lot about you! But do you remember times when you spend sleepless nights – for a toothache? 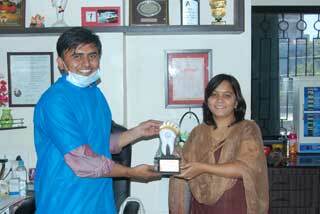 Get a cure, treat your toothache at the best dental clinic in Aurangabad. We are a modern, hi-tech dental clinic in Aurangabad to provide you a comprehensive oral health care for both children and adults. Dr. Jadhav is a renowned dentist in Aurangabad to provide you treatment for your every dental problems - from general dentistry to advanced dental specialties. 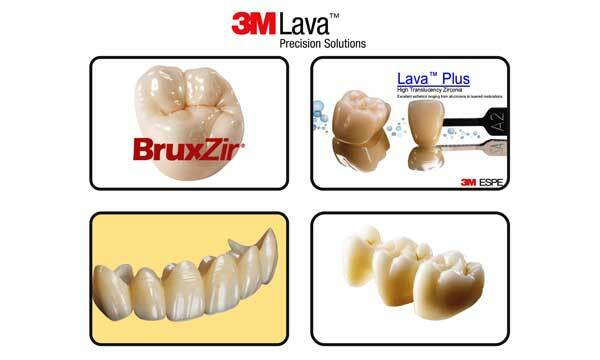 Get the benefits of the latest state of the art innovations in dental care treatment. We give you your smile back! 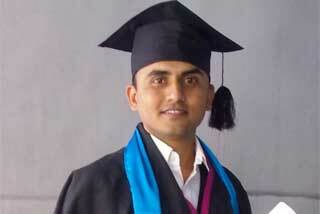 from general dentistry to advanced dental specialties. Our clinic functions with a desire to serve people of all means with good quality treatments. Dental hygiene is perhaps the most neglected of all kinds of body cleansing. In a country where people take pride in their gluttonous intake of food, this does not augur well. Therefore, dental care is something that people will need to fall back on sooner or later. It can hardly be shunned because of the extreme discomfort it causes to the patient. This is why we make our best effort in providing the most affordable dental care with high-quality treatments. The next time you wonder what the ‘best low-cost clinics near me are,' you need not look further beyond us. 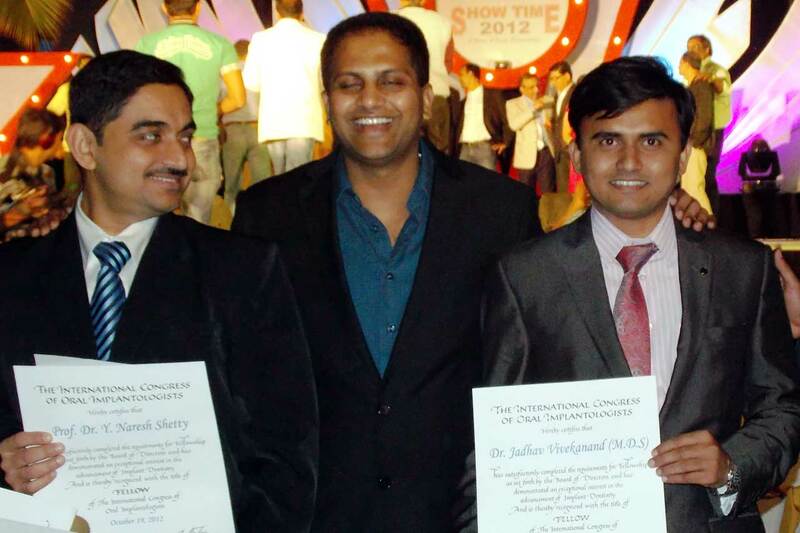 With the years of practice and proven experience, Dr. Jadhav is considered to be one of the best dentist in Aurangabad. 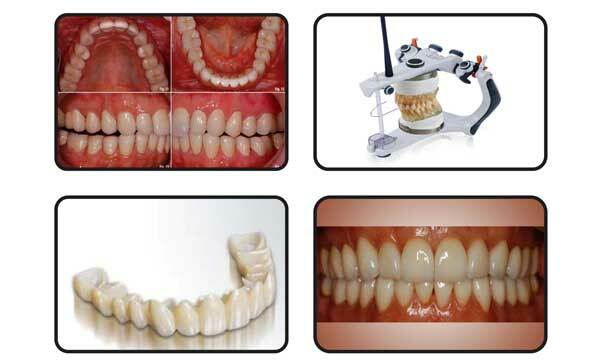 He has implemented ancient tricks and modern day dentistry in such a way that the treatments are pain-free and comfortable unlike conventional dentistry. The assurance of our high quality dental work comes with a life-long warranty. 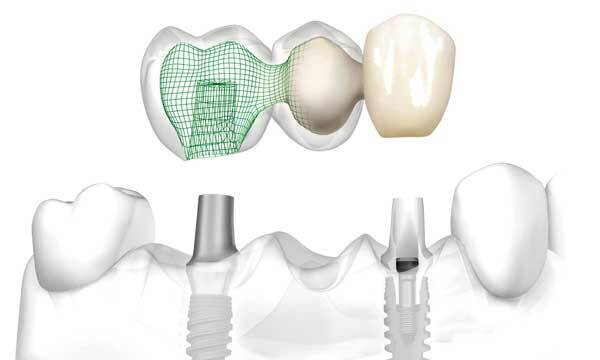 The warranty of dental implants and restorations speaks volumes about us. So, take a few steps to a perfect smile – get a consultation with the best dental doctor in Aurangabad. We offer a range of services and treatments that will alleviate your pain as well as give a new life to your teeth. Our Dental Clinic in Aurangabad expertises in the following types of dental treatment. It is common to see people lose a tooth or two in accidents. Teeth can be very fragile, and a strong force can cause it to be uprooted from your gums. This may prove to be difficult to walk around with as it vastly changes your appearance. Imagine yourself with no teeth, and you would be surprised to know how different you look. For those who find the missing teeth, a menace can now get it replaced with dental implants. The dental surgery will be done with high precision and care, in such a way that it does not affect the adjacent teeth in any way whatsoever. Be it front teeth or back, we fix it all the same. 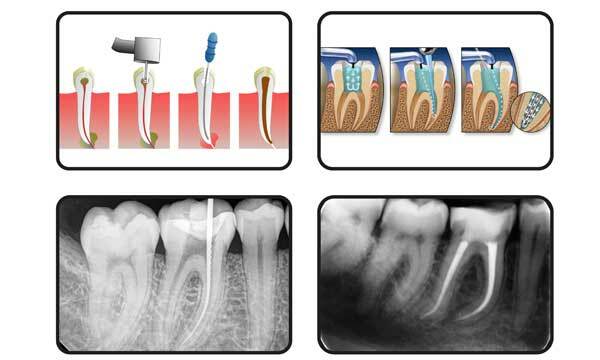 Root canal treatment is a fairly common procedure that does not need an introduction. This procedure is adopted to save the teeth from tooth decay. The infected teeth will be cleaned up and the infected nerve replaced by an artificial one. We use advanced equipment and technology to give maximum comfort to the patient. Also, with our rotary endodontic treatment, it is now possible to treat several infected teeth in one sitting. This is done in a manner that it does not disrupt your natural set of teeth. Root canal treatment most often is followed by placing artificial crowns or caps. In the past, dentistry heavily relied on metals for such replacements. While it might have its bright sides, it has its share of drawbacks as well. Exposure to metal over an extended period will result in allergic reactions. 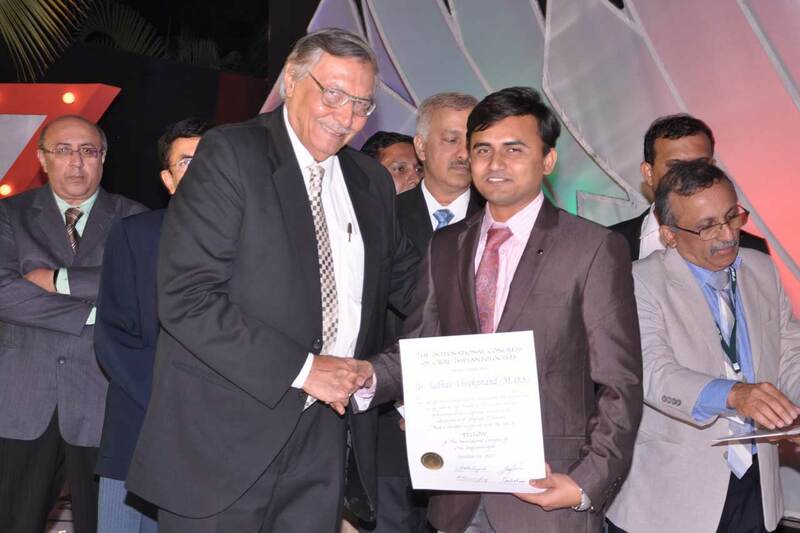 Being a good dental clinic renowned for its varied and technologically advanced approaches to treatments, Dr. Jadhav'sdental clinic in Aurangabad uses Zirconia crowns that promise better functionality and appearance. Some severe cases attributed to old age or the onset of certain kinds of diseases, calls for full mouth rehabilitation (FMR). It does a complete overhaul of the oral system. It improves not just the appearance but also the utility of the teeth. 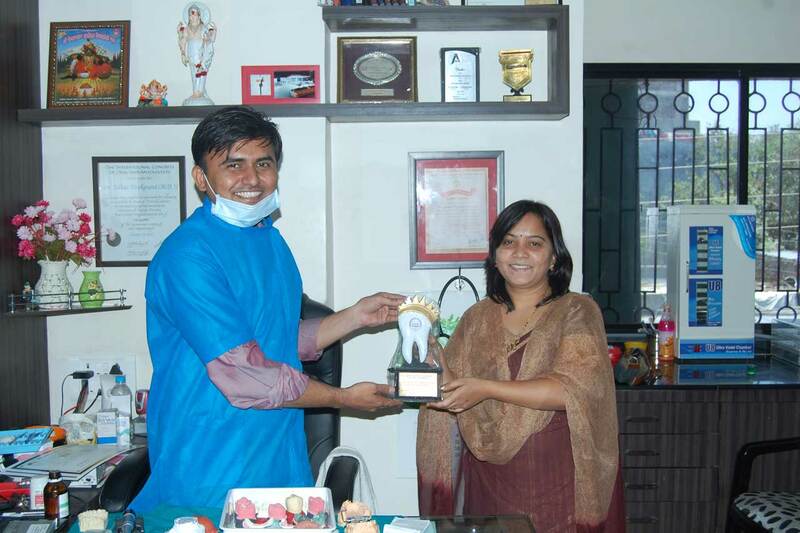 We assure to to provide you with the best dentalsurgeon in Aurangabad at your service. The procedure is usually recommended when patients have several missing teeth or severe decay and worn out teeth, thus, causing difficulties in mastication. We believe an individual’s beauty is exhibited in full throttle when they smile ear to ear. Nothing can beat a confident smile. However, not many of us feel the comfort or confidence to crack into a smile. From non-aligned teeth to fractured or discoloured ones, the problems vary. If you are one of them, we recommend you to seek the help of a dental doctor in DrJadhav's clinic to get your front teeth fixed. We are the only clinic that offers you Smile Designing service because we strongly believe nothing should stop you from smiling. Misaligned or proclined teeth is not a rare sight in children as they grow up. Braces and clips set it right and also correct the spacing between the teeth. 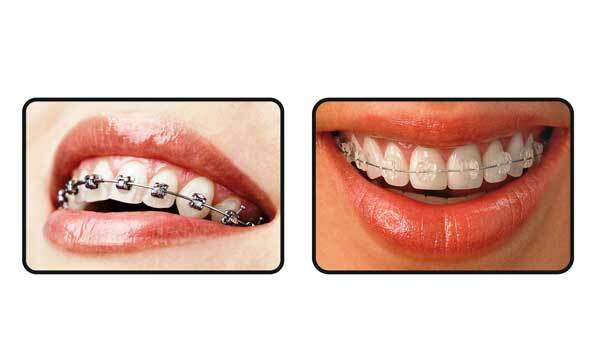 Adolescents usually rely on the aid of braces to get that perfect smile. 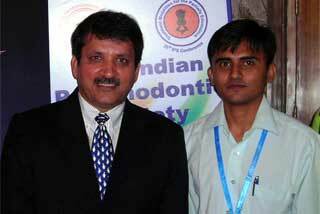 Our clinic will provide you with the best dentist in Aurangabad for the best counsel in such treatments. 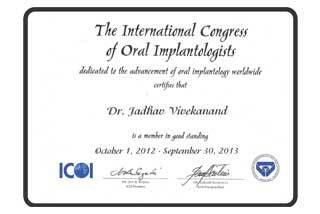 International organizations for its services have frequently recognized Dr. Jadhav's clinic, the city dental care, Aurangabad. 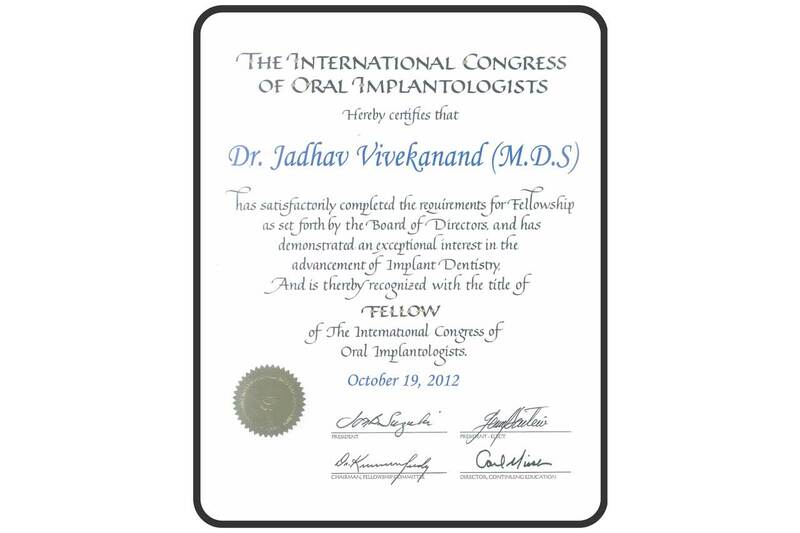 The International Congress of Oral Implantologists has, in fact, awarded its fellowship to Dr. Jadhav. 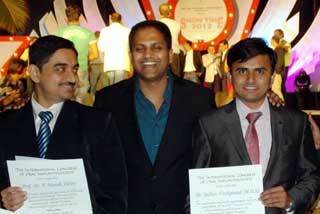 The clinic has also received numerous awards for its quality treatments and services. Apart from being an affordable dental clinic, it also is well suited to people with different kinds of problems. We are one of the trusted and expert dental surgeon in Aurangabadwho can offer you treatments of international standards. We rely on X-rays to make accurate diagnoses. You can count on us to receive innovative dental treatment that employ the most advanced technology. 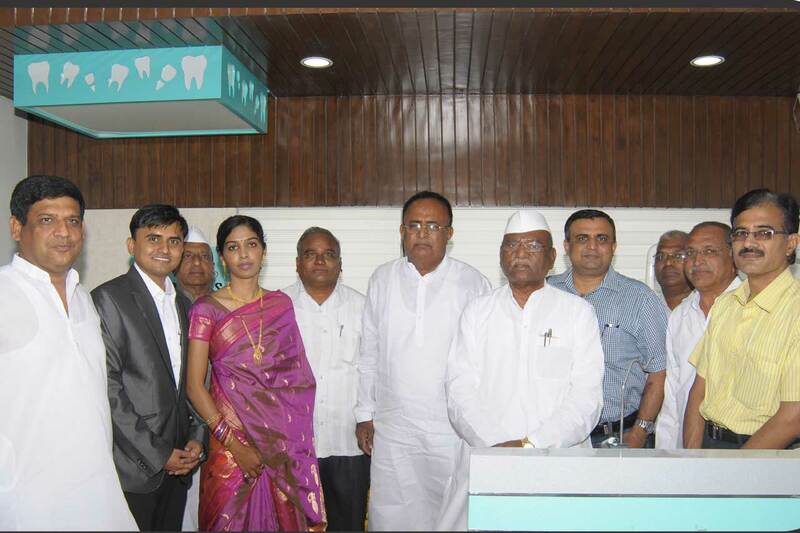 If you are a resident of Aurangabad, your nearest dental clinic also happens to be one of the best in the business. 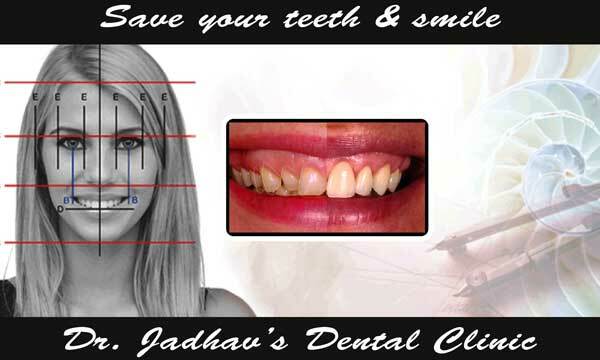 Be it cosmetic or corrective surgery; you have found your match in Dr. Jadhav'sdental clinic in Aurangabad. We offer customised treatments and place your comfort and welfare above all else. 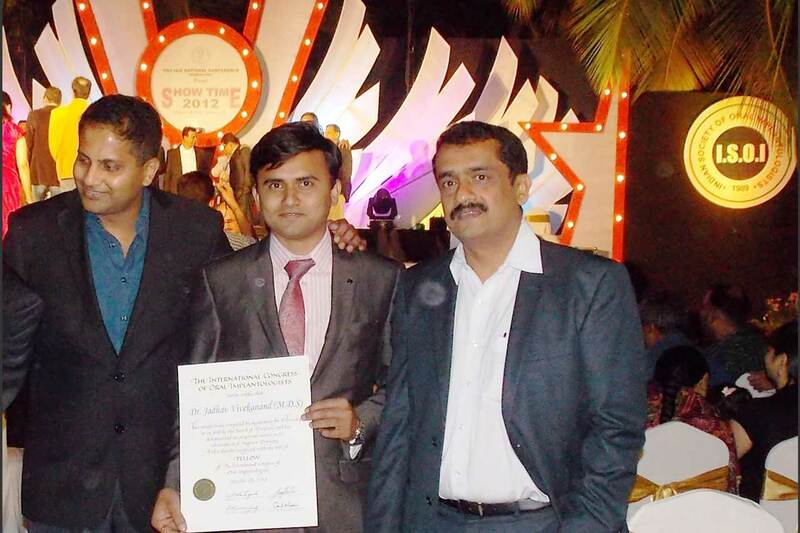 Make an appointment with the DrJadhav's Excellence Dental Solutions and be witness to the extraordinary oral care. 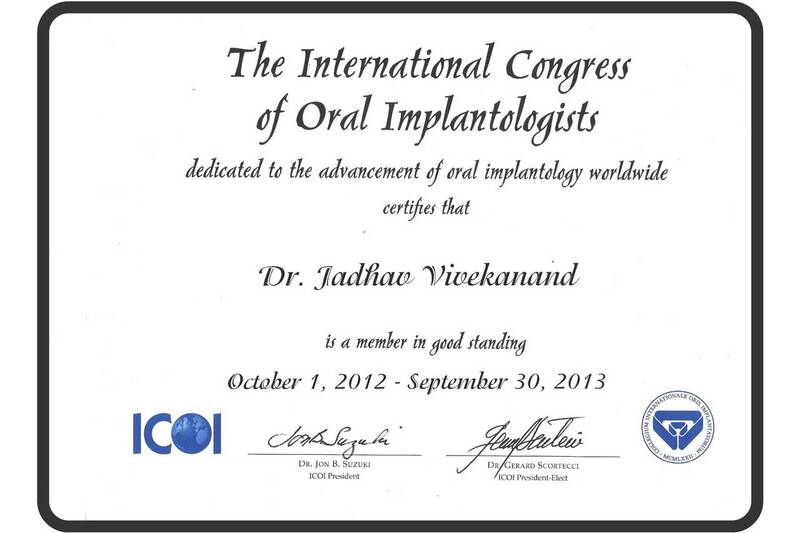 To my favorite dentist, Dr. Jadhav Vivek. Thank you for giving me my smile. 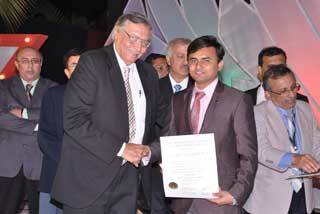 Dr. Jadhav is the best in dentistry. He has a great team of family and staff. They are all top of the line professionals, with superb workmanship, artistry and state of the art equipment. 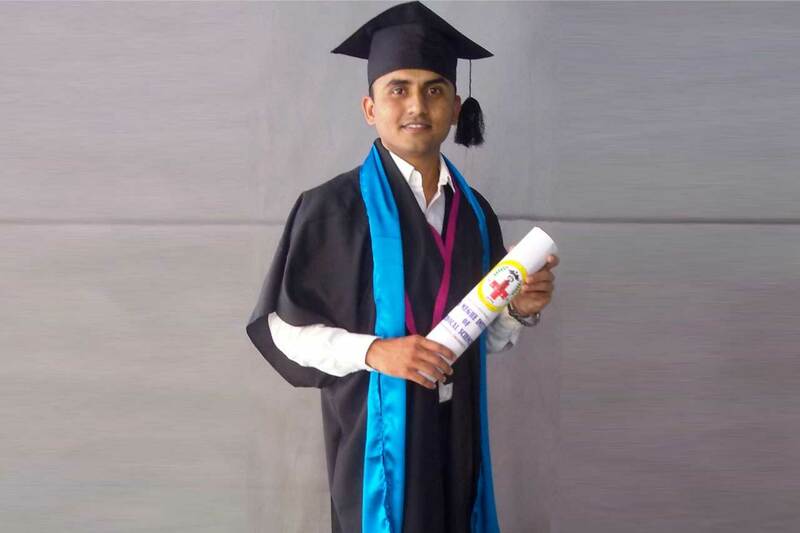 He has Hi-Tech equipments and digital smile designing software to achieve a beautiful smile, which goes hand in hand with that perfect smile that I now have. Dr. Vivek has transformed all of my front ugly teeth into a beautiful smile. This is by far the best dental office I've been to! 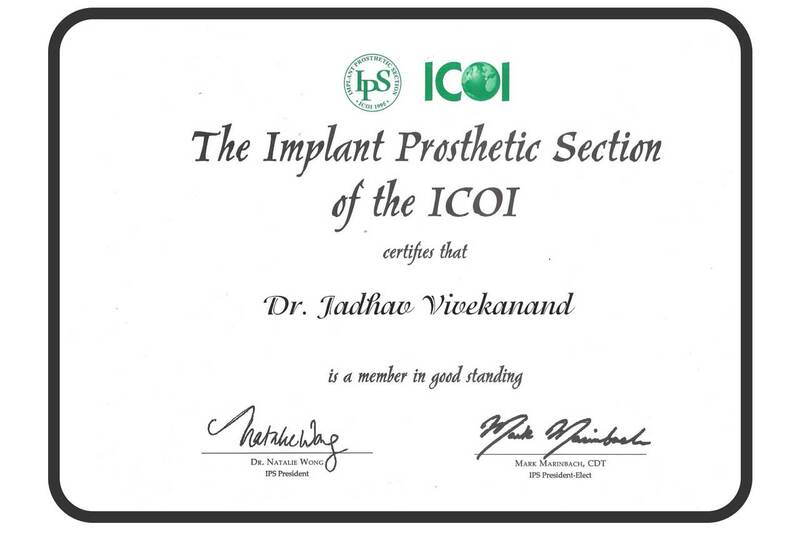 Dr. Vivek is very gentle and professional! The whole staff is super friendly and make u feel comfortable during your whole visit! They have high end infra structure and modern dental equipments for your own convenience! Very clean dental office and nicely organized. I will definitely recommend this place to my family and friends. I really needed a dentist that I could trust. 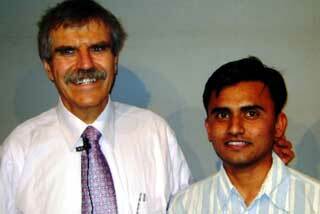 I was so satisfied with the new appearance given by Dr. Jadhav to me. The office was really professional and clean. The Autoclave and the technology that you see inside the dental office along with the dentist chair were out of this world. Loved to talk with Dr. Madhuri, and the rest of staff there, they are so friendly and caring, about your well being so much. Offers comprehensive, customized and comfortable dental treatments within a relaxing and soothing ambience utilizing the world’s leading diagnostic, sterilization and treatment technology. Read More . . . 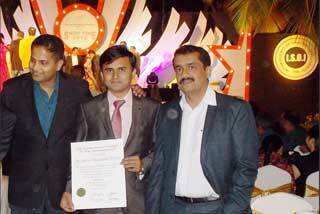 Address: Dr. Jadhav's Excellence Dental Solutions, Office No. 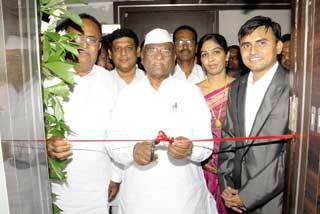 11, C-Wing, Forteus, Ist-floor, Space Olympia Complex, Sutgirni Square, Garkheda, Aurangabad.